All things Ubuntu are here. 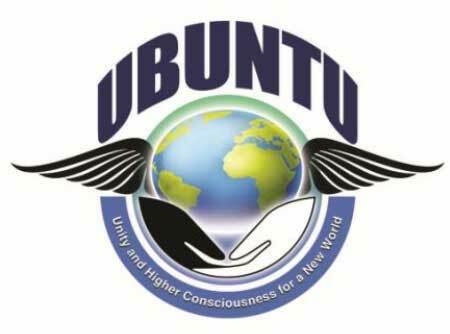 The 2014 Update from the founder of Ubuntu, Michael Tellinger. More videos from the Video Room on http://www.ubuntuplanet.org. 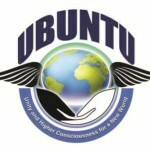 Introduction to the book here from http://www.ubuntuplanet.org/ubuntu-contributionism/ :, “…The path that brought us here as a species is not only filled with lies and deception of unimaginable proportion, but also with continuous manipulation of the human race that goes back thousands of years all controlled by money. Michael Tellinger has come full circle since his epic Slave Species of god in 2006, by proposing a blueprint for the emancipation of the slave species called humanity. The world, and everything in it, has been incorporated, including every single human being, without their knowledge. But how do we use the knowledge of the past effectively, to benefit all of humanity into the future? Tellinger redefines the previously misunderstood origins of money and the rise of the royal banking elite, that have controlled the world for millennia, and who continue to do so today through the modern banking families. He points out that money did not evolve from thousands of years of barter and trade, but that it was maliciously introduced to the human race as a tool of absolute control and enslavement. Tellinger makes a strong case, that if we do not understand our human origins, we cannot come to terms with why the world is so utterly confusing and messed up in the 21st century. He demonstrates that our current situation presents us with a unique opportunity to change the course of our destiny. Michael Tellinger describes how the ancient African philosophy of UBUNTU will allow us to seamlessly move from a divided, money-driven society, to prosper in united communities driven by people, their God-given talents and their passion for life. Coming to terms with our enslavement as a species by the global financial system, is critical to discovering the path to full enlightenment. UBUNTU Contributionism presents a solid foundation for a new social structure to take us into a new era of true freedom from financial tyranny, towards real prosperity on every level of human endeavour. Since 2010, Michael Tellinger and a small group of brave individuals, have spearheaded the civil defence against the fraudulent activities of the South African banks. Over a period of three years, during which they defended themselves at great personal loss and cost, against the most seasoned lawyers money can buy, Tellinger and friends successfully uncovered the criminal activity of the banksters , how they hide behind their legal watch dogs and the infinitely complex legal system. He uncovered how they manipulate the justice system for their continued benefit and how they get away with crimes against humanity, destroying millions of people s lives in the process on, day by day. Tellingers in-depth exposé of the global banking fraud includes the privately owned FEDERAL RESERVE BANK in the USA, the very powerful SOUTH AFRICAN RESERVE BANK, and other central banks of the world including the BANK OF ENGLAND. This journey has taken him through the halls of the Supreme Court in Johannesburg and the Constitutional Court, indicating clearly by the words of the registrar of the court that, our courts do not dispense justice, they uphold the law … no matter how crooked the law may be. While the courtroom dramas were largely ignored by mainstream media, it attracted the attention of millions of people around the world, leading to the birth of the New Economics Rights Alliance, which became the third largest NPO in South Africa within six months of its launch. Please research further if you are interested in Ubuntu. Ubuntu communities will be one of the solutions that saves us.